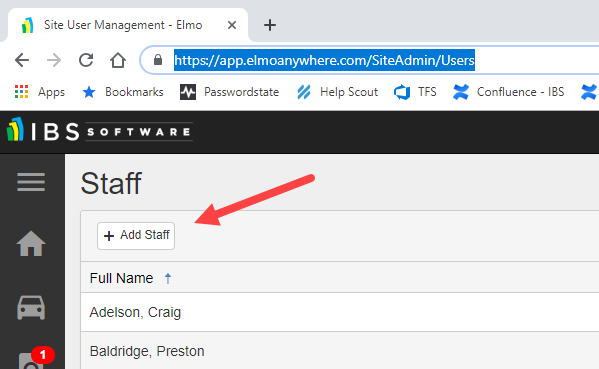 To create or edit a staff user you have to be logged-in as a user with the Site Admin role or an access role with the Security permissions enabled. Using the left Navigation Menu select The Gear Icon -> Site Users. If you are currently logged in you can CLICK HERE to edit site users. Each field with an asterisk (*) is required. Assigned Regions: By default, the user will be assigned to the Global region. If you would like to use Region filtering you will need to remove the Global Region from this user and assign them to other Regions you have created. For more information on Regions see this article. Assigned Shop: This is the shop that the user is assigned to, when they load the Quote Screen. For more information on this see this article. Be sure to select the correct staff type of CSR, Sales Rep, and/or Installer. This selection will unlock additional functionality based on the user type. 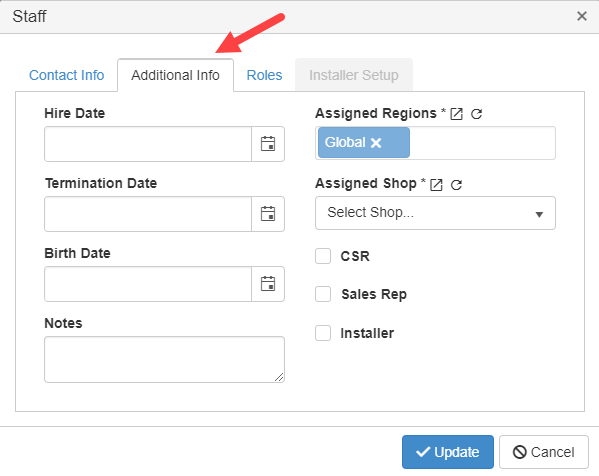 These check boxes will also determine if this user will appear in drop downs labeled CSR, Sales Rep, or Installer throughout the application. If you have configured the new Login as an Installer the Availability tab will now be activated and available. Use this to configure times this user is available for installations as well as their color for the scheduler. Instructions can be found here. Click the "Update" button to save the record. 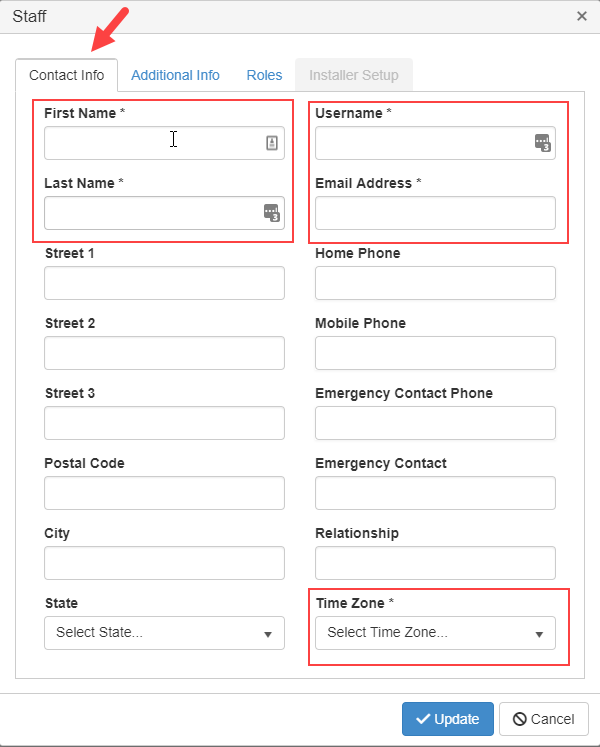 The newly created user should immediately receive an email with login information. If the email does not appear within a few minutes, please check your SPAM filter before contacting support.